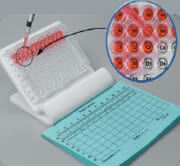 Sterile culture plates with 8‐well strips in a frame. Breakable into 96 single wells. Made from low fluorescence HIPS (high impact polystyrene). These culture plates are made of virgin plastic and are suitable for most purposes. However, for tissue culture they may need additional treatment. Note: Excellent plasticware at lowest prices, but a long delivery period. Order early to secure supply ‐ particularly of carton lots. We offer high discounts on carton lots ‐ Inquire. 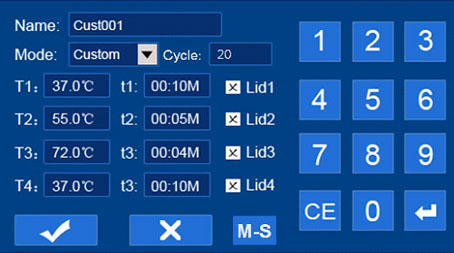 Culture plate well numbering system ‐ a convenient visual aid for pipetting and identification of samples in microplates. 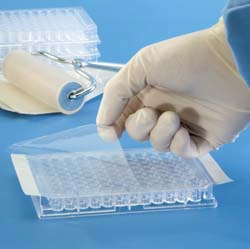 Pre‐cut, adhesive films for microplate sealing needs. Breathe‐Easy™ is an adhesive, gas‐permeable, cell culture membrane. Breathe‐Easier™ is a rapid gas transmissible sealing membrane for cell growth. Breathe‐Easier™ membranes permit rapid, consistent gas exchange of oxygen, CO2 and water vapour for uniform cell growth. Sterile - Sterilised by gamma irradiation. Films are also free of cytotoxins. Prevent contamination - Films eliminate well-to-well contamination, microbial and viral contamination, evaporation (excluding breathable membranes) and sample spillage. 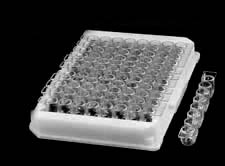 Ideally sized and designed - 152 x 83mm rectangles fit all microplates. Two scored end-tabs make film positioning and removal hassle-free. Thermal stability - Designed to withstand a wide temperature range. 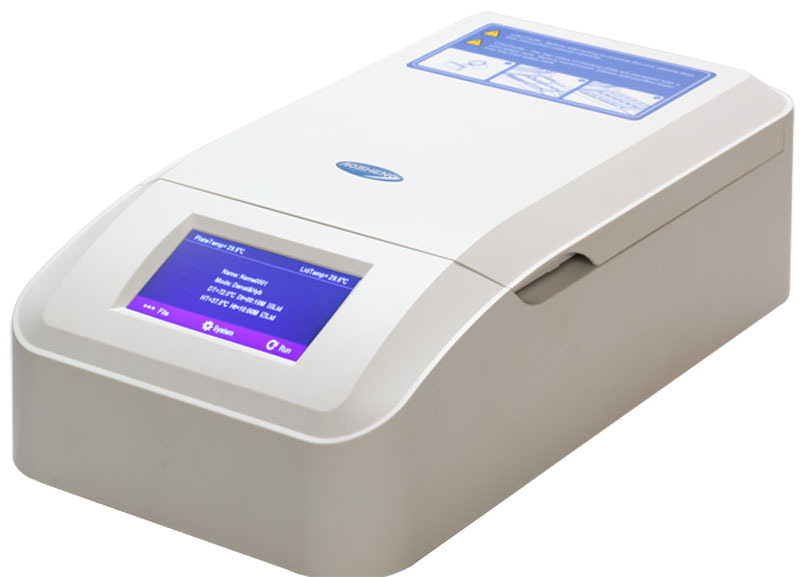 Easy specimen retrieval - Pierceable sealing films facilitate easy removal of samples with a pipette tip. Unique ‐ "Trough within a trough" maximises reagent recovery. Convenient ‐ Pour‐off spouts on all four corners. Stable ‐ A wide base provides stability and avoids spills. Measurable ‐ Graduated marks on inside wall. 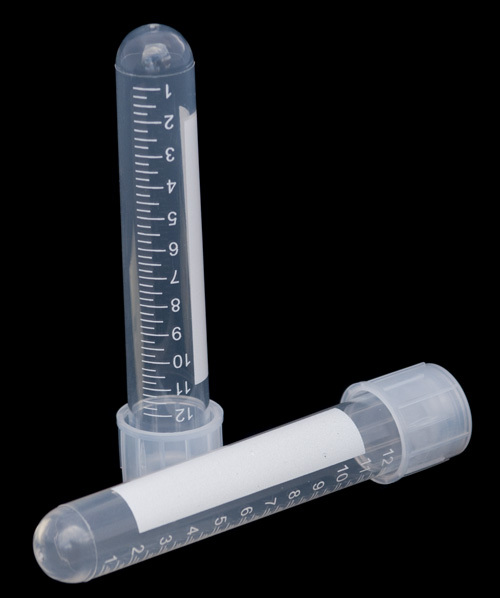 Compatible ‐ 25 mL Reservoir with divider, accommodates eight‐channel pipettes on one side and one to four‐channel pipettes on the other. 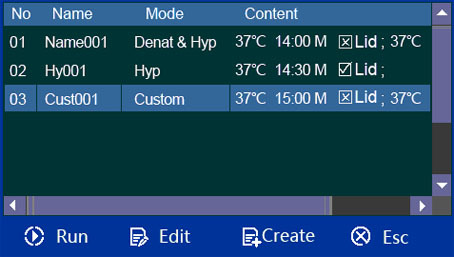 The divider is also convenient for adding controls. CoverWell™ imaging chambers are designed to stabilise and support thick or free floating specimens for light, epifluorescence, and confocal laser‐scanning microscopy. 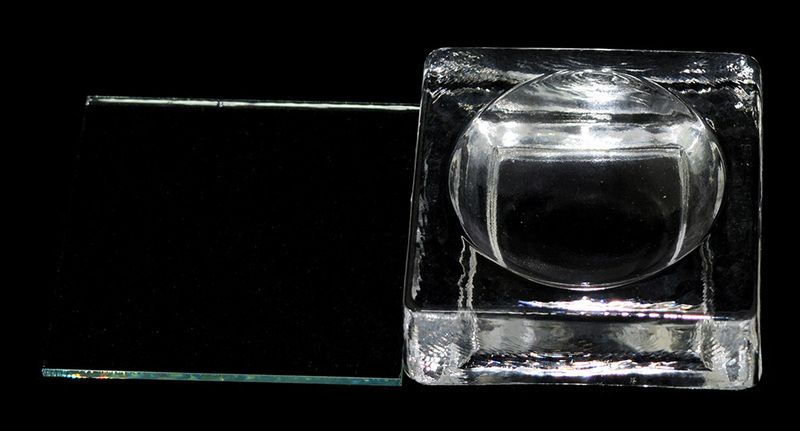 They incorporate a thin, optically clear plastic cover on a silicone chamber gasket. 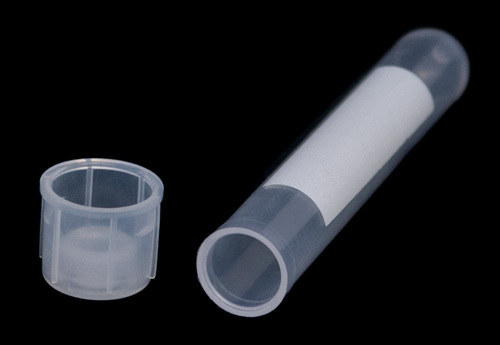 Silicone chamber gaskets form water‐tight, removable enclosures when pressed to a microscope slide or coverslip. 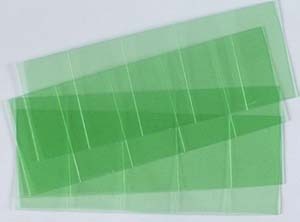 Cover slip material is flexible and enables the chambers to be removed from the thinnest glass coverslips without breaking the glass or damaging the specimen. Press‐to‐seal CoverWell™ imaging chambers are reusable. Chambers allow resolution of fine internal structures without the compression of regular coverslips. HybriWell conforms to all hybridisation technique requirements: Disposable, temperature‐resistant, non‐cytotoxic and is hydrophobic. HybriWell seals securely to a microscope slide surface in seconds. Removes cleanly and easily by heating. Access ports allow for the addition or removal of reactants. High quality thin glass bottom sterile culture dishes. 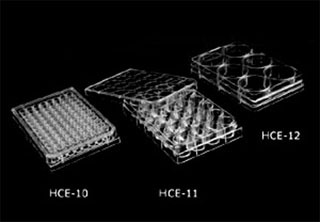 A new series of sterile, optical quality, glass bottom dishes which provide exceptional imaging quality for many applications requiring the use of inverted microscopes. Conventional plastic or glass Petri dishes and chambers limit the use of the inverted microscope for many applications because the thick plastic or glass bottom requires a long working distance objective available only in lower magnifications. Moreover, plastic dishes cannot be used for DIC or any polarisation microscopes due to their inherent birefriengence. Thin glass bottom dishes eliminate these problems, making them ideal for applications such as: patch clamp recordings where fluorescent-tagged (GFP) receptors can be identified for selective study; and many other fluorescent microscopy applications, which require low background scattering of light and reduce intrinsic "auto" fluorescence that occurs when using standard plastic dishes. Furthermore, the glass bottom is designed flush with the whole base of the dish, therefore allowing direct contact between the entire glass surface and the warming stage. This eliminates any air gaps that may otherwise exist between the glass dish and the warming stage and hence optimise heat transfer, allowing homogenous heating and cooling of the glass bottom. Non-cytotoxic, non-pyrogenic and sterile until opened. Dish diameters: 35 and 50mm, with internal glass well diameter of 12, 22, 30, and 40mm. 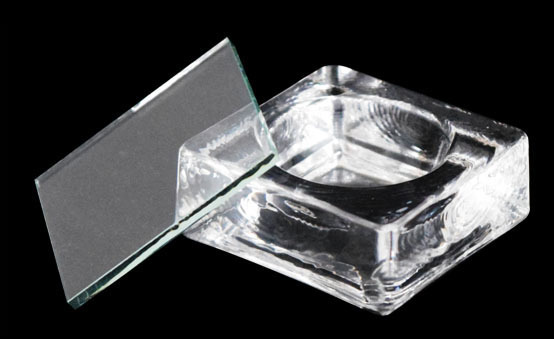 Each dish has a flat (0.17mm thick) optical quality glass bottom. Production is carried out in a Class 10,000 clean room, certified under EN46001, EN46002, ISO9001 and ISO9002. All dishes are gamma irradiated (EN552) and sterile. Wide optical range of transmission- UV, IV, and IR (300nm to 2500nm). Use of a much shorter working distance immersion objective. Larger numerical aperture (NA) objectives. Infrared imaging (e.g. brain slide recordings). Cell Biology: stem cell research, cell growth cycle monitoring, cell culture. Protein chemistry: green fluorescent protein identification of histotags, etc. Molecular biology: phenotyping and other complex genetic research. H351012 = dish diam. 35mm, height 10mm, well diam. 12mm. These RNase free, hydrophobic covers will not trap or bind probes to their surface like glass coverslips. They allow for uniform distribution of probe reagent. HybriSlips remain flat. They will not curl even at high temperatures. For use: Apply forceps to remove the scored polyethylene liner to expose working surface. Lift the HybriSlip from the support liner and apply to specimen. REMOVAL: Dip in buffer and allow HybriSlip to gently slide off. 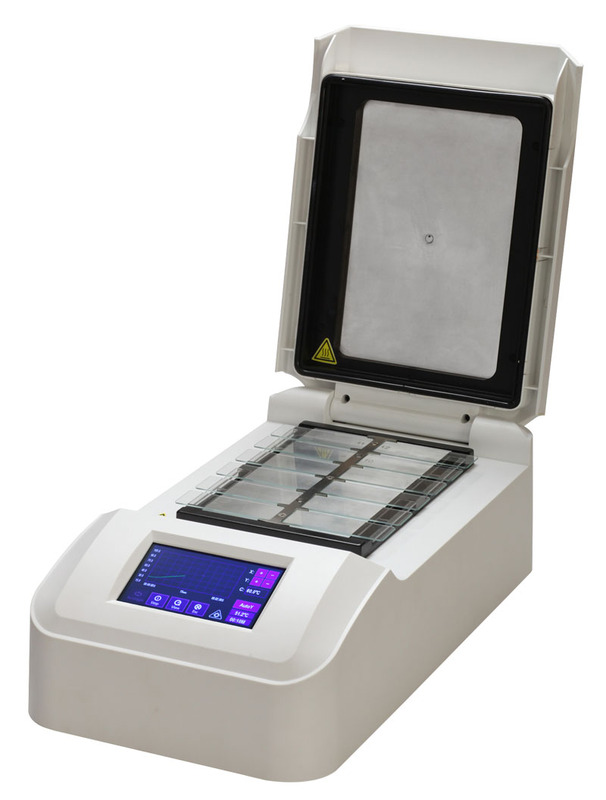 These moisture chambers prevent drying of liquid specimens; they are ideal not only for immunostaining but also for diagnostic reactions performed on slides. 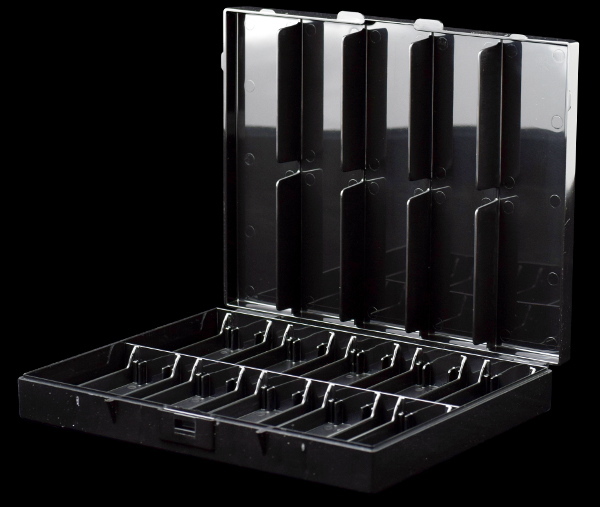 Each unit is divided into 10 compartments with a lid barrier between slides. Slides are securely located above a water reservoir. Chamber is made of heavy‐duty black polystyrene, it is light‐proof and air tight to maintain a saturated water vapour atmosphere. Boxes are stackable.